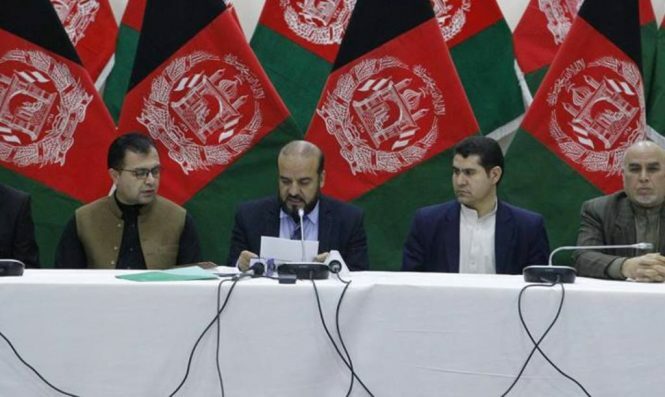 The Independent Election Commission of Afghanistan announced the initial results for another five provinces of Afghanistan regarding last month’s parliamentary elections. The IEC Chief Gula Jan Abdul Badi Sayad announced the initial results regarding Kunar, Nuristan, Samangan, Sari Pul, and Maidan Wardak provinces during a press conference tonight. Sayad further added that Jawid Safi, Shahzada Shahid, Nematullah Karyab, and Wazhma Saif have win seats in the Lower House of the Parliament, Wolesi Jirga, from Kunar province based on initial votes counting. He said Abdalullah Mohammadi, Hayatullah Samangani, Ziauddin Zia, and Mahbooba Rahmat have been elected from Samangan province while Mohammad Akbar Sultanzada, Asadullah Ayoubi, Syed Mohammad Mohsin Sharifi Balkhabi, Alhaj Hamidullah Bek, and Aziz Jalis have been elected from Sari Pul province. According to Sayad, Obadiullah Nurstani and Dr. Zahida Faizan have been elected from Nuristan province. Similarly, Abdul Ahmad Durani, Abdul Rahman Wardak, Mohammad Mehdi Rasukh, Halima Askari, and Eng. Hamida Akbari have been elected from Midan Wardak province.